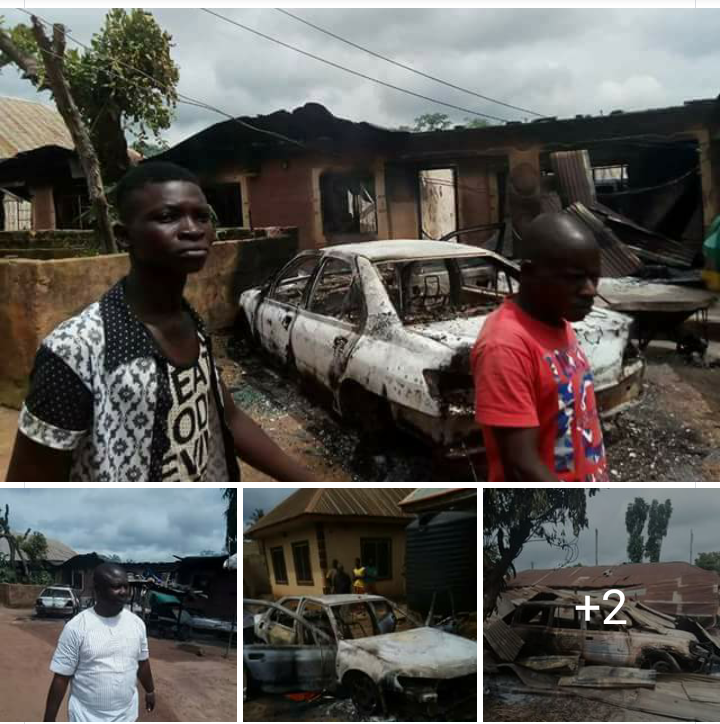 Eight people including a retired Major General, Lawrence Ugbo, has been killed and many others wounded in Ugboju district of Otukpo Local Government Area of Benue State. The Chief Security Officer (CSO) of the local government area, Mr. Christopher Ogbleba and his son were also reportedly killed in the crisis. The crises, according to an eyewitness, was a spill over of the bitter rivalry between a former Otukpo council chairman, Ijachi Udenyi, who is of the APC and his brother, Benjamin Udenyi, who is a PDP member, which also left several persons with bullet wounds. According to the eyewitness, houses and vehicles were razed by the feuding parties while several persons, including women and children, have been rendered homeless just as many had fled the community for fear of being killed. “The bloody crisis broke out in the community after some armed youths from Ugboju allegedly attacked a group of young men who were believed to be loyalists of the former council boss while they were holding a meeting with their supposed leader in the community. “The aggrieved youths beat a retreat and mobilised for a reprisal and the ensuing bloody fight between the two bitter rivals led to the death and injury of many, including the retired military officer who was an APC chieftain and a former state chairman of the PDP,” he said. Reacting, the Chairman of Otukpo Local Government Area, Mr. George Alli, who in company of security operatives toured the devastated community, expressed shock at the level of destruction in the community. “It is quite disheartening that people can allow their personal differences degenerate to the level of taking the lives of others and razing of their houses and property, I am indeed sad. “I plead for calm and also urge the warring communities to sheath their sword and embrace peace because no meaningful development can take place in an atmosphere of war and crisis,” Alli said. Confirming the development, the Police Public Relations Officer, Moses Yamu, said four persons were killed in the crisis while four others who sustained bullet wounds had been taken for medical attention in a public hospital.